Hawaii may be halfway around the world from Europe, but that doesn’t mean that French cuisine in Hawaii isn’t alive and well. As a French major in college (and frequent traveler to France), I can say with earnest: there’s nothing, absolutely nothing, like French cuisine. So, imagine my excitement when I learned that JJ Bistro and French Pastry in Kaimuki (on Oahu) recently celebrated its 16th anniversary. To pay my respects, I had to invite some friends and pay a visit to this charming cafe to support its effort at keeping French cuisine relevant in Hawaii. 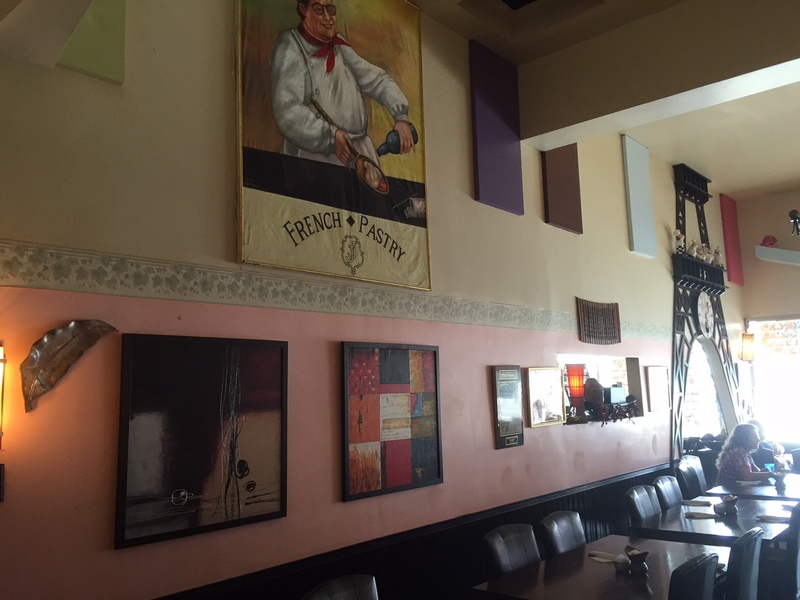 The decor inside JJ Bistro and French Pastry reminds the diner of a quaint cafe in Paris. One look around the interior decor, and you would swear you were in a small cafe on the banks of the Seine River in France. But, one look at the menu, and you’ll notice French, Laotian, and French-Laotian dishes, such as fisherman pot pie, a melange of seafood and vegetables swimming in the chef’s piquant green curry and resting between pillows of house-made puff pastry, a labor-intensive rarity in a region better known for rice. Green curry is woven through the menu, found also on pizza and in several noodle dishes. Where you’ll see the biggest French influence is in the pastry display. Chef and owner Praseuth Luangkhot, or JJ (originally from Laos), learned to create spectacular French desserts under the tutelage of a master. The first item you’ll likely notice is the Chocolate Pyramid, made of a dark chocolate mousse mixed with chocolate cake (shaped like a pyramid, of course). You’ll also see a chocolate fruit basket filled with pastry cream and white cake. And, no French-style pastry display would be complete without a plum tart topped with almond cream. Got an event that deserves a decadent dessert? JJ creates extraordinary wedding cakes, as well as cakes and tarts for any occasion. 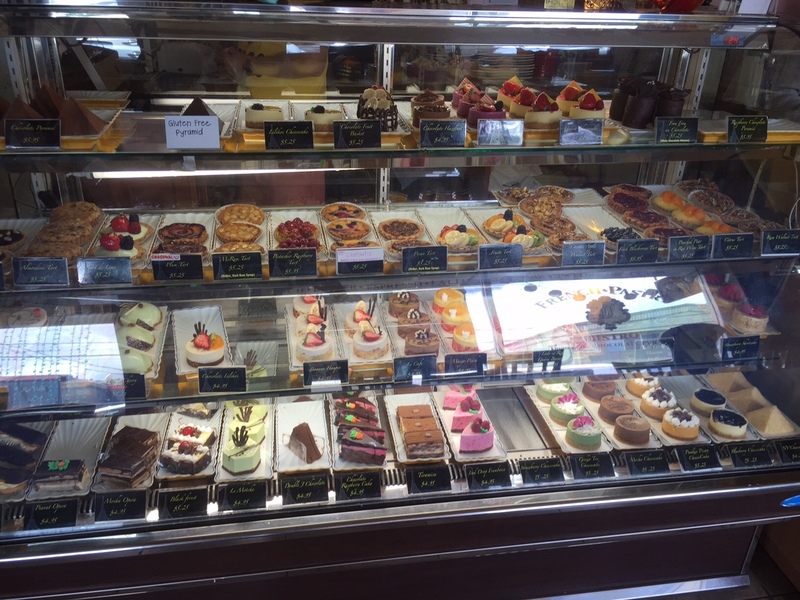 The dessert display at JJ Bistro and Pastry is filled with delicacies you might only find in France proper. The pastries at JJ Bistro and French Pastry are so popular that, last year, the restaurant won the Hale’Aina Gold Award from Honolulu Magazine for Best Pastry. Just in time to celebrate this historic anniversary, JJ Bistro & French Pastry in Kaimuki is expanding near and far. In January, JJ opened three new locations in Tokyo, Japan, including one in the famous shopping district of Harajuku. In Japan, the restaurants will be called JJ Bistro and Hawaiian Dessert, and operated as franchises. And, Luangkhot recently opened Jean-Marc Honolulu, near the WalMart across from Ala Moana Center. The restaurant is similar to that of JJ Bistro, with many of the same dishes available. However, the atmosphere will be very different. Jean-Marc Honolulu will be two stories—pastries and coffee will be served on the first floor, and the dining room will be located on the second floor. Despite the rapid expansion, the atmosphere at JJ Bistro and French Pastry in Kaimuki is decidedly quaint. JJ’s wife, Daokeo, his sister, Chin Li Majewski, and aunt, Porntip Pothongsunan, also work there. And, he’s managed to keep the prices within reason—many lunch dishes are priced under $10. For Francophiles like me, JJ Bistro and French Pastry is a reminder that French cuisine still reigns mighty, even half-a-world-away from Europe. So, when you book your Oahu vacation (through Hawaii Aloha Travel, of course), keep an evening free to enjoy this extraordinary restaurant that features French cuisine in Hawaii. JJ Bistro and French Pastry: 3447 Waialae Ave. Honolulu, Hi 96816, (808) 739-0993, jjfrenchpastry.com. JJ Bistro and French Pastry is open 10-9 Monday through Saturday and 11:30-9 Sunday.